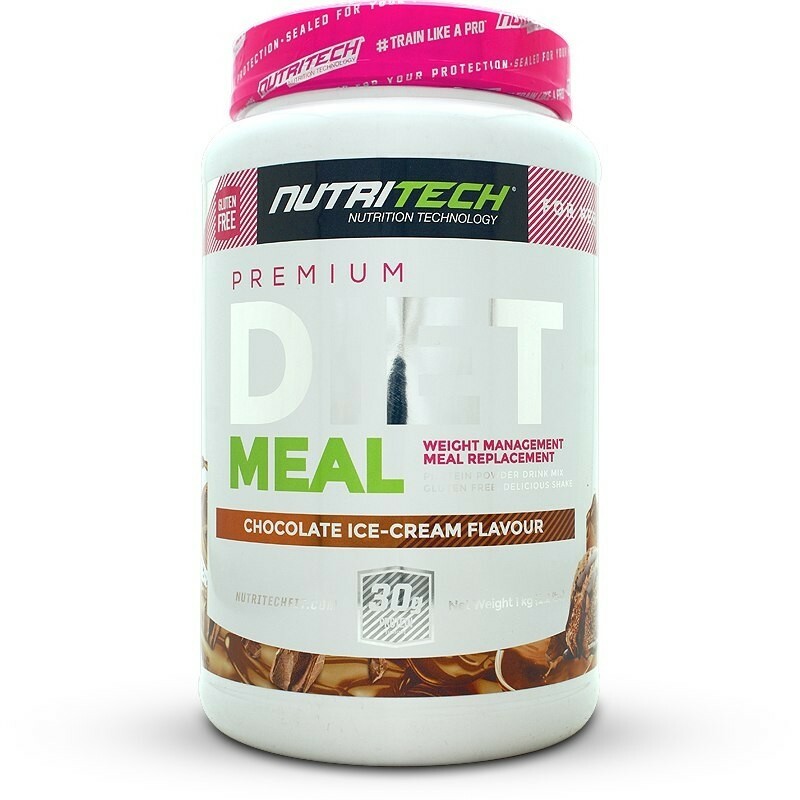 Nutritech Diet Meal is a delicious meal replacement shake perfect for on-the-go when quality whole food is not available. A single serving provides 30 grams of quality protein sourced from a blend of micronized whey protein concentrate, calcium caseinate and milk protein. This meal replacement shake is an exceptional choice for those who lead a busy lifestyle. Providing a superior alternative to unhealthy meals and snacks. The combination of fast and slow releasing proteins ensures for a tapered release of amino acids which aids in building lean muscle. An increase in lean muscle speeds up the body’s metabolism to burn more fat. Nutritech Diet Meal includes 20 vitamins and minerals to support the immune system and prevent any micro-nutrient deficiencies which may occur. Contains: Cow’s milk and Soy. Mix 3 scoops with 300 ml of water or milk in a shaker. Take 1 to 3 servings per day, in place of main meals or between main meals.